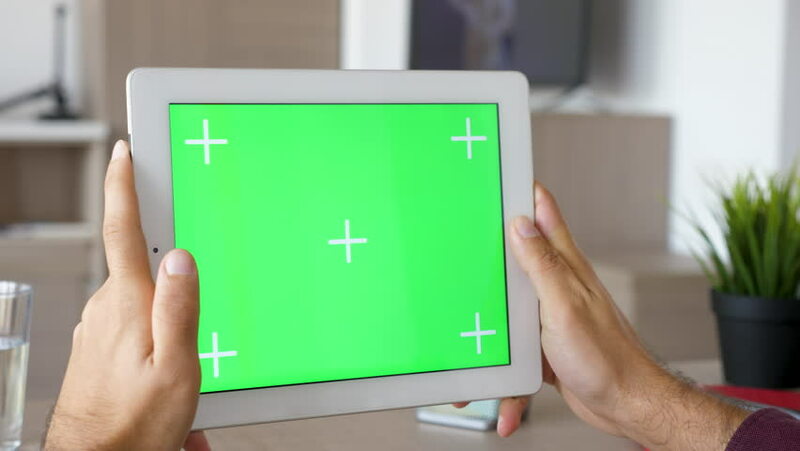 4k00:14Mans point of view holding a tablet with green screen on. Watching a video on a black tabet. 4k00:11Slow sliding over a digital tablet PC with green screen chroma mock-up in comfy living room in the house. 4k00:13Slider shot over the shoulder of a man working on his laptop with green screen on. Chroma key corporate concept. 4k00:18Female hands demonstrating typing on blank digital tablet iPad. hd00:15 Gorgeous bird`s eye view of a modern green football field with a metallic grated fence in Ukraine in summer . The drone is flying up.